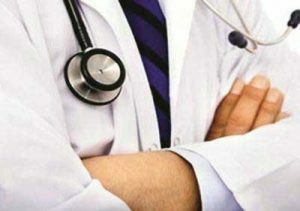 A petition was filed by Thamarai Selvan, who had obtained an MBBS from a college in West Indies, and who sought a direction to Tamil Nadu Medical Council, to issue a certificate of provisional registration considering his application dated February 13 so as to enable him to undergo the Compulsory Rotatory Residential Internship (CRRI) in any approved Medical College-Hospital in Tamil Nadu. Justice N Kirubakaran, in an interim order, asked him to re-submit the application to Tamil Nadu Medical Council within a period of two weeks from the date of receipt of a copy of the order and also directed the council to take appropriate decision within two weeks thereafter. However, keeping the main petition pending, the judge, referred to the 77.8 per cent marks obtained by the petitioner in Physics, Chemistry and Biology. The judge said the marks would not be sufficient to get a seat in any of the medical colleges in India as the cut-off marks was invariably above 90 per cent. The judge raised a question as to how affluent students with comparatively low marks are allowed admission to foreign medical colleges and universities whose degrees are recognised by the MCI. and which are the countries where Indian students with low marks usually obtain medical degrees. plus two mark is not a criteria to become a good doctor. Wrong concept in our Education system. Any students who have good memory can score good marks after exam most of them will forget. Instead of memory test, Learn the art of healing. Absolutel absurd about the scores. Till1965 thousands of Indians have joined Indian Medical colleges (those days no private) with 50% marks and have become sucessful doctors inIndia and abroad. The 10+2 system got modified and as planned approach to exams have resulted in high scores upto 98% as of today. Everyone should understand the fact that a person capable of getting 50% marks also can pass medical exams with a bit of extra hardwork. 85-90 % are brainy and it could be easy for them. Shunting those with less than 80-90 is uncalled for and have certainly the right to study medicine anywhere in the world if admission is procured. Only the MBBS courses offered clandestinely by a few unscruplous people in China and Russia (who have no affiliation whatso ever with Chinese or Russian Govt Educational system) are to be watched out since they are not proper medical schools even. Medical schools in the carebian, Philipines, Malaysia, Etc are well recognized and far more superior Med schools than those in the Indian states. These schools follow the Us system of medical education with 6-7 year course. These schools are recognized by the American board and students can easily get enrolled for USMLE rxams. Sadly many of the Indian Med schools are not recognised by the US system. It is only ironic if not hypocracy that any doctor who has degree from the med schools of US, UK, Newzealand, Australia can freely register and work in India without any MCI exams, not from the Med schools of countries which follow the high US STANDARDS else where! Sadly one must note that Indian med schools are considered very poor in sylabus, teaching standards by US, UK, Australia and New Zealand and not recignized. MCI has warning from the US Medical board to improve the system since 2005! If 77.8% is not enough to enter a medical college, (against MCI REQUIREMENT OF 50%) Does the Hon\’ble judge has any information on the number of students who got admission in to various medical colleges in India LEGALLY who may not have got even 50%? There may be so many. So what happens to the lives of patients treated by these prospective doctors. The major difference between Indian and foreign education is theory V practice. Indian students are theorized while Western students are practical oriented. This major difference scores above our degrees. Indian education as a whole, not just medicine teaching, need revamped and education institutions must be freed from political interferences for vote bank politics. Nehru had failed in this too. He opened institutions to political matters in 1956.